Country fans, friends and family gathered at Luke Bryan‘s 32 Bridge Bar in Nashville this morning for a special live broadcast that aired on Good Morning America to announce the first round of 2018 CMA Award Nominees. Sugarland, Dan & Shay, and Midland were each honored with a nomination, while Luke Bryan will have to battle it out for Entertainer of the Year against best friend Jason Aldean, Kenny Chesney, Keith Urban and Chris Stapleton. 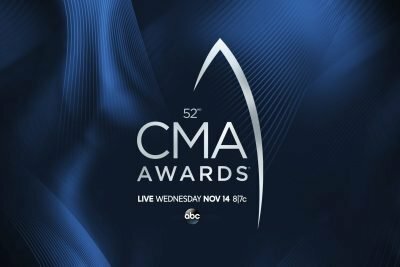 The 2018 CMA Awards will broadcast live from Nashville on Wednesday, Nov. 14 via ABC at 8PM ET. Carrie Underwood and Brad Paisley are returning to host for the eleventh straight year. CMA Awards nominees — and ultimately, the winners on Country Music’s Biggest Night — are determined by more than 7,400 professional members of the Country Music Association. Country Music News Blog participates in advertising programs that help fund the operation of this site. For more information please visit our privacy statement. This entry was posted in CMA Awards, Featured, Luke Bryan by Shauna "WhiskeyChick" Castorena. Bookmark the permalink.